A new study from the Neo-Carbon Project, supported by researchers from Lappeenranta University of Technology, suggests that solar and wind energy will become the least expensive forms of power in the coming decade. 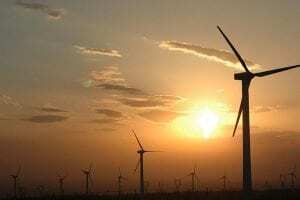 Researchers from the university claim that wind and solar power will be particularly prominent and beneficial in Northeast Asia and China. Solar energy, in particular, has been gaining strong support in many parts of the world and new wind energy projects are beginning to take form in promising markets. According to the study, the price of solar energy will fall by half by 2025. The cost of wind energy is also falling rapidly, as new technologies become more available and more efficient wind turbine manufacture practices are put into place. As the cost of these forms of renewable energy falls, they are becoming more attractive to consumers and businesses alike. Solar and wind power are also receiving strong support from governments in many countries, which is helping new projects take form and find success. Economics has been one of the driving factors, and greatest challenges, of renewable energy. Determining the economic viability of solar and wind energy projects has been a difficult process. In the past, these forms of clean energy were often considered too expensive to be worthwhile. Now, however, this is no longer the case. Solar energy is likely to be one of the most popular forms of clean power, as it has received the majority of support that is being offered by governments, homeowners, and businesses. Wind energy may serve as an effective utility-scale energy solution, especially when wind farms can be built at sea and harvest the wind currents found there. Within the next ten years, renewable energy is likely to begin playing an overarching role in the energy infrastructure of many countries. These countries are investing heavily in clean power in the hopes of seeding economic growth and becoming more environmentally friendly. If clean energy can continue to show that it is economically viable, it will continue to receive strong support.